In today’s modern marketing for hotels, video is a must-have. Especially young travellers are searching for a Hotel on Youtube instead of Google. Video is fast, easy and a strong tool to communicate your hotel services. If well executed, hotel video’s empower your hotel, your brand promise and become a social marketing asset. Youtube became the personal tv station for young people. It’s always there and has anything they search for; from a funny Friday afternoon video to the Red Bull Space Jump, the latest clip from Ed Sheeran or their next holiday destination. Youtube brings information in a portable and entertaining way. That means your Hotel on Youtube message must be fun, fast and streaming; the Millennials have an 8 second attention span. If your video is too heavy to load, they’ll click away. If your video is too boring, they look for another Hotel on Youtube. Keep the pace with this audience and provide them with great entertaining, fast streaming video content. We assume that your hotel wants to do business with the future generation. And that you don’t mind to be seen by other guests as a modern hotel, also in terms of technology. That’s why it is important to connect digitally with the largest group of modern travellers: the Millennials, also known as generation X or The Selfie generation. Raised in a digital era, for them video and Youtube in particular is the most used media item on smartphone or tablet. Your Hotel on Youtube channel should be part of online search results. Video is important to communicate with a younger audience. With your Hotel on Youtube, you will rank better in the search engines, and it helps you to communicate all your services to the guests you already have. Make a cool looking display with screenshots of your video channel. Point guests to your Hotel on Youtube and create a valuable connecting moment. If they like it, they might subscribe to your channel. Or even better, share your hotel with their friends. At Hotel Marketing Support, we always wonder why we still find a big leather guest folder in the hotel room. It was expensive for sure and filled with hotel’s brief paper and some envelopes. But seriously, who will write a letter today when we have Whatsapp, Skype and e-mail? In the folder, we also find the hotel brochure to explain how the hotel looks like. And prints of what services we can expect and book such as a massage or some tea and cookies on the room. 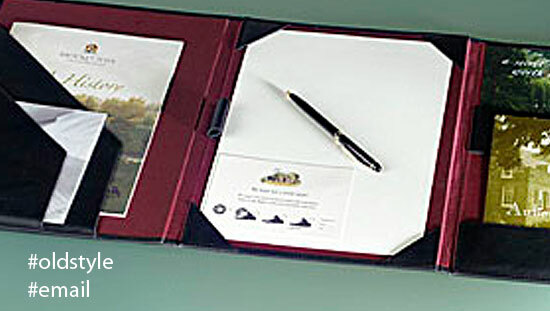 The leather guest room folder and its content is what we call ‘habitual marketing’; it was always done like this, and because nobody complained about it, you keep it. You could ask yourself: “is this leather guest folder a good modern way to communicate what we have to offer?” And maybe even more important; “Is the content of the guest folder being seen by people outside the hotel?” Probably not, unless you throw it outside the window. The content of your guest room folder could be the starting point for your Hotel on Youtube video scripts. The beauty of having Hotel on Youtube video’s is the 24/7 accessibility for your guests. They can watch it on their device anytime they want. Make sure your Hotel on Youtube content gets tagged with unique keywords about your hotel. To make it findable for young people that search for ‘romantic wedding venue in Pretoria’, ‘a rooftop breakfast in Milan’ or a ‘luxury hotel with spa in Taipei’. The next generation travellers expect you to be on the channel they use most: Youtube. With the content on your video channel, you change your hotel guest folder information into a global online magnet. Video marketing is important if you want to share your Hotel on Youtube with the next generation travellers. We don’t want you to remove the guest map; just put a flyer in it with screenshots of your video’s and a QR code for direct access. Like many hoteliers, you do business with an OTA. Not for all your rooms, but maybe for 30%. In any case, you allowed them to use your hotel name and your location. In the Google search results for ‘hotel’ and ‘yourcity’ your website is most likely not on the first page. OTA’s hold all first places in Google (and the other 5) before your hotel website is shown. That’s how they use Google, and that power is growing. But here’s the tip of the day: OTA’s may have a strong position in Google, but not in Youtube. That’s where you can accelerate! If you know that Millennials prefer Youtube above Google, you know that you have to be here. Put your Hotel on Youtube with a package deal and a direct link to book on your website. Media agencies advise their clients to place tv commercials in front of a video on Youtube. We don’t like advertising people didn’t ask for; it’s stupid, old style thinking and most irritating. To avoid the commercial shower for your visitors, we advise to embed your Hotel on Youtube video’s on your hotel website. Viewers that come via your e-mailing or visit you directly on the website will no longer be disturbed with an advertising block. You can still measure how many people watched the Youtube video on your website. Youtube is not the only platform to place your content. Once you have your video content, make sure to place it also on other channels. This is our Top 3 video placeholders to reach more viewers. Now you’re online connected with your guests, think about more engagement: create a guest competition to make a Vine or Mindie video about their holiday. Have Apps available for download on your website; demonstrate that you’re with them in this digital world. User generated video content is the next logical step in your hotel’s digital evolution. We’ll talk about this another time. We know it is difficult to change habits. And yes, video productions do cost money if you want to deliver quality. We can show you easy to produce solutions available that will help. Not everybody has the money to hire Steven Spielberg or the Disney team to create a video for your hotel. To be honest, you don’t need them; genuine content from real people in a real hotel is far more effective than any commercial or theatrical advertising clip. Your Hotel on Youtube video has to be as real as it is. We hope that if you need to buy new leather guest maps, you will consider a video channel with inspiring content to communicate with your future guests. If you need some start-up tips for a good script, we’re happy to send them to you. Just drop us a line at servicedesk@hotelmarketingsupport.com. For now….. silence please…. getting ready for Take 1…. 2, 3 Action! 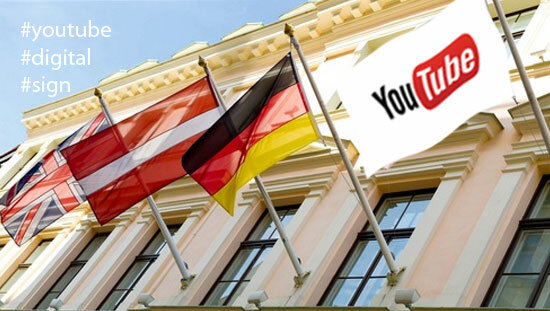 Share the post "How Your Hotel Becomes a Star on Youtube"